A new trailer has been released for Star Citizen which includes a star-studded cast including Mark Hamill, Gillian Anderson, Gary Oldman, Mark Strong, John Rhys-Davies and Andy Serkis. 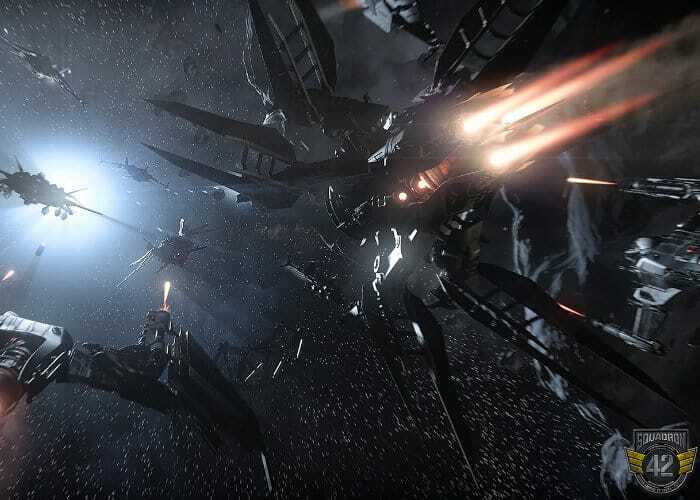 Check out the three-minute trailer below for the new Squadron 42 single-player “spaceflight sim” that acts as a companion to the “persistent-world” game Star Citizen, explains its development team. Cloud Imperium Games released the trailer as part of its annual fan event, CitizenCon. The developer team is also released Alpha 3.3 to backers which includes new features such as the FoIP – face over internet protocol. Enabling your in game character to mimic your own facial expressions and even track your lips when you are speaking. The features in the latest Alpha 3.3 release include the addition of AI enemies to the Stanton System and missions, performance improvements and, of course, loads of new ships and gear to spend your cash on.